Travel through the countryside to find this custom contemporary on 8.15 acres in the Town of Neversink. Completely renovated in 2007, this 4000+ sq ft home highlights soaring ceilings, an abundance of windows, and an expansive master suite. 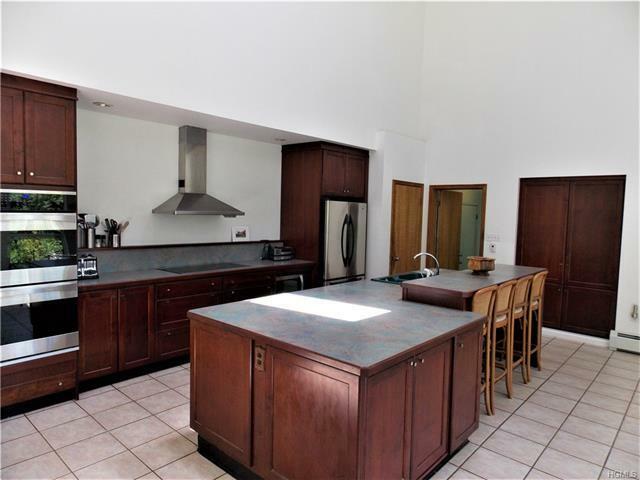 The spacious kitchen and great room combination are perfect for large social gatherings. Additional features include 4 bds, 3.5 baths, 2 car attached garage, mudroom and den. The 2nd floor bonus space would be great as an office, playroom, etc. A unique feature of this property is a kennel (equipped with water, electric and a commercial wood boiler) with 14 bays, fenced dog runs & garage - great to shelter dogs, other animals; or use as a studio, gym, workshop or storage. Town board approvals will be needed for any future use to house animals. This home is located close to the Willowemoc - enjoy state land, hiking and fishing. Visit nearby towns for shopping, restaurants and more.